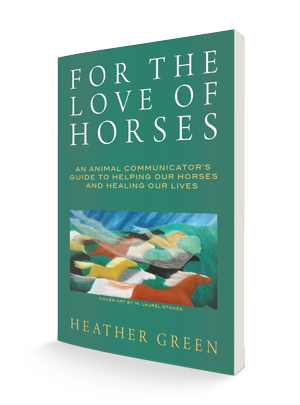 I have known Heather Green for just a short period of time, however, in that time, she has helped me understand what was going on with my dogs both emotionally and physically, she helped me locate my missing cat, and has helped me steer my life into a more positive direction. When I first met Heather I was having some issues with my dog, Leo and his back. The Vet could not pinpoint anything wrong. I reached out to her to help me understand what was going on with him and how I could help him. I figured since she was working on Leo she might as well deal with an issue I was having with my other dog, Max. Max would not walk for more than a few houses without stopping and refused to walk any further. I wanted to understand why he did not like his walks. I scheduled a time for her to communicate with them and then call me after. What she told me was amazing to say the least. Turns out that Leo, had what looked like a pinched nerve, and she could see he had the start of cataracts. While with Max, and this to me is much more amazing, according to Heather, he had fluid around his heart and in his lungs, which makes it difficult to walk, hurts him, and causes him to cough. He also had something in his ear that was bothering him and Heather saw some hair or dust in there. Needless to say, I made another appointment with the Vet. I had the Vet check on both of the dogs. After a thorough check-up the Vet concurred with what Heather had told me, not just on one issue, but on every detail she gave me. Max does have an enlarged heart and fluid in his lungs and around his heart. He also had some hair/wax mixture up against his eardrum that they cleared out for him. Leo has the start of cataracts and although it is difficult to medically verify a pinched nerve the Vet said it makes perfect sense. I have had Heather work on Leo with her energy work, and since she has worked on him almost seven months ago, he has only had the issue once, where before it was almost monthly. As you can see from my story Heather is very gifted. She not only helped me find out what was medically wrong with my dogs, but she has worked on them emotionally as well, and I have seen improvement there as well. I am so thankful for having found Heather and having her part of my life, in caring for me and my animal partners.